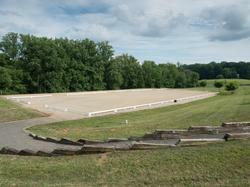 Behind the indoor arena is a 300X450 foot derby field. As with the sand arenas, the footing in the derby field was meticulously prepared. First, the topsoil was completely removed to eliminate rocks, smooth out surface bumps and divots, and to install a substrata drainage system. 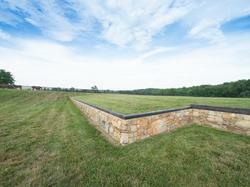 The topsoil was then blended with high-quality sand and replaced to a depth of over an inch. Finally, the derby field was seeded with a custom blend to create a deep-rooted and durable turf. The derby field is maintained with an automated irrigation system and careful mowing to provide an optimal grass riding surface all season long. 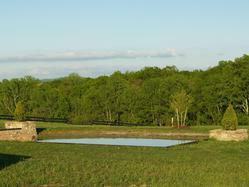 Nestled between the derby field and outdoor arena is a cross country schooling course designed by U.S. Olympic team member David O’Connor. 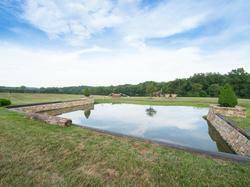 The centerpiece of the course is water and bank complex located at the western edge of the derby field. The course flows naturally from the complex to a telescoping ditch and a competition quality roller mound/hump jump complex. 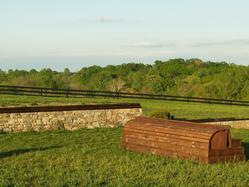 A selection of high-quality portable jumps is underway to supplement the schooling and derby fields. 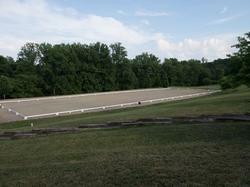 Newly installed in 2016, the upper 280x180' sand and fiber arena provides competition style show jump training. 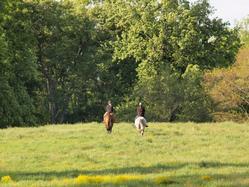 Irrigated and dragged daily, the footing is meticulously maintained for you and your horse. 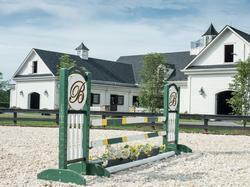 Populated with a variety of high quality, beautiful show jumps, there is plenty to practice. Situated on arguably the most scenic part of the equestrian complex and overlooking the meandering creek and lush woods, the lower 200X100" dressage sand and fiber arena has a full size dressage arena with letters. 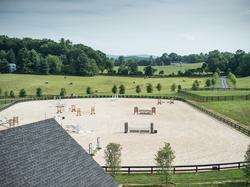 This sand arena allows dressage schooling in a sheltered and private location. Also watered and dragged daily, this arena is always ready for competition-style schooling. As with the other training areas, the footing in the sand arenas was meticulously researched and prepared. Construction of the arena started with precision grading and the installation of drain pipes. Beverly then developed a custom blended sand footing, starting with the selection of sub-angular quartz sand, which is more stable and preferable to river rock sand that can operate like ball bearings. Next steps involved selecting particle size based on a sieve analysis to create ideal traction conditions and to prevent excessive compaction. Finally, to achieve sufficient cushion and spring, Beverly analyzed the ratio of sand to “fines” (silt and clay particles). Although fines help bind the larger sub-angular particles and soften the surface, too many fines will produce dust and shear and require more watering and maintenance. Because Beverly has an automated irrigation system to control dust in its outdoor arena, Beverly opted for the more cushioned surface provided by a higher quantity of fines. Through its intense efforts at grading, drainage, footing selection and watering, Beverly’s outdoor sand arenas provide optimal training surfaces for a variety of disciplines for an extensive and productive season. The galloping tracks are designed to take advantage of the best footing on the property and to allow gallops on the flat and on hills for optimal conditioning. The galloping track also flows through some of the most scenic areas of the property, at various points following a tree-lined stream, flowing over rolling fields and shooting up to the highest grades.